You’ll save money when you come to Interstate Batteries for your Cell phone screen repair in St Joseph Missouri. Our local device experts will have your cracked or broken screen out and replaced while you wait so that you can get on with your day with the least amount of interruption. We’re proud to provide speedy repairs for all major phones and other devices, including service for Apple, Samsung, Motorola, etc. Cell phone screen repair is not all we do. We are also highly skilled in repairing damaged or non-working cameras, repairing water-damaged devices, replacing batteries, changing out charging ports, and many other cell services as well. Are you pressing on your touch screen with no response? You may have thought you had to replace your phone or device, but that’s not always the case. Bring your cell phone down to us, and we’ll quickly diagnose the problem and let you know whether it’s possible to repair it. In most cases, an affordable, quick repair is all that is necessary to restore your device to full function again. We save local cell phone owners millions of dollars annually collectively over the cost of purchasing new devices. Your product’s manufacturer may have told you that a repair was not possible, or that trying to repair the device would result in additional damage. If you’re currently unable to use your device, it makes sense to bring it to a qualified repair technician to find out what can be done to fix it. Very often, the manufacturer has a vested interest in selling you a new product. You can learn more about our cell phone screen repair service by typing ‘Cell Phone’ into our website’s search bar. Use our convenient ‘Find a Location’ tool to locate a local Interstate Batteries store where you can bring your phone in for a repair. For the fastest service, call ahead and let our technicians know you’re coming in and they’ll schedule your repair for the shortest wait time. Did your mobile phone manufacturer ask you to send them your phone for a repair? You could be waiting for weeks to get your phone back. If you’ve ever had your cell phone or device repaired through the mail, you understand how frustrating it can be waiting to hear again from the manufacturer as to what the problem is, whether they can restore it, and how long it’s going to take for them to send your phone back. We’ll reduce the downtime you’re currently experiencing and eliminate the additional wait time you would face mailing in your device. We are conveniently located in an area near you, able to adequately service your cell phone or another mobile device to ensure you’re back up and operating same-day. 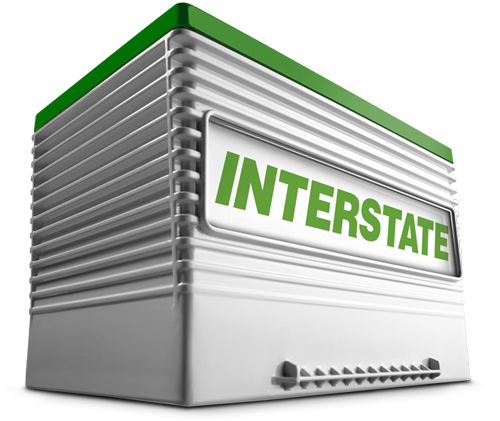 Find your Interstate Batteries location and call with any questions or concerns you may have. We’re available by phone to schedule a Cell phone screen repair in St Joseph Missouri or another service appointment that will significantly save you time and money.